I’m all over the place again. My fiancé still is in terrible pain and feels sick often. He feels isolated and unloved. It makes me think of a blog entry I’ve read from MysteryCoach Doctors ~ Medications ~ Surprise Ending. She explains how you’re emotions can make you physically ill and I’m starting to wonder if our situation is effecting his physical health. He has a slew of doctors appointments and is starting in a pain management group as mandated by the pain specialist he is starting to see. 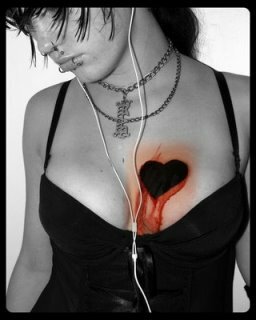 I’ve been listening to the audio book Too Good to Leave Too Bad to Stay (thank you F#@*knows)and it’s got me spinning some more. So many maybes and questions if I’m expecting too much or passing harsh judgement. Throw in his physical ailments and there is just so many variables. The book talks a lot about people getting overwhelmed with the amount of things you have to weigh to make a decision to stay or leave. I’m glad it’s walking me through but I worry I’ll end the book with the same ambivalence that I started with. Either way it’s information that is helpful and giving me a new unbiased perspective. Over the weekend he caught me looking at the responses on my blog. I clicked out and told a sloppy lie. After some time I told him I was contacting relationship advice web sites to see what to do about our situation. It opened the door to talk a little about what we can do. He doesn’t see why I’m so frustrated and sees me as a equal part of the problem. He got a little irritated saying there is only one side of the story being put out to these advice people and maybe we should try couples counseling again. I think we will have to do that. I will get someone in my family to commit to watching the boys and we will have to try to talk things out together. Things are coming together to look at this crazy situation from all angles maybe I can get my head on straight and finally commit one way or the other. Jumping in with both feet and feeling good about trying to make things work or break things off. I know for sure we both can’t keep living this way. Donna Reed eats dollar bills…..
I’ve been trying to focus on my home life. Though I can’t get Tom out of my mind I know I need to step back or something really bad will happen. I’m not sure what really bad is but I’d rather not find out. 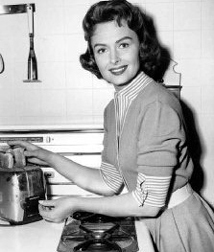 I was lucky enough to have a 4 day weekend and I went for it like a modern-day Donna Reed. I cleaned, organised, did yard work and maitenence. Made breakfast lunch and dinner every day. Laundry, oh the laundry! I took the boys on an awesome hike. We had so much fun chasing frog and lizards. We climbed and bounced on trees. On the way home they were pooped and when we got home they could not stop talking about our adventures! I’ve mentioned before my Fiance has not worked for a long while and is a spender. Well this has finally become a problem. With his messed up knee and laundry list of medications and aliments he is unable to work and has not found any other means of supporting the family (or his spending habits). It’s come to the point where I’m applying for a night job. I work full time and my job has good pay but it’s still not enough. It’s not only embarrassing to have to work a 2nd job but to say my Fiance doesn’t work and has no income leaves me open to get a lot of opinions and weird looks. Strangely enough last time this happened ( I was pregnant) the only job that I could find was inventory for minimum wage. I hope that is not the case this time. Needless to say this doesn’t make it any easier to work on my relationship with him.